Considered by many to be Roger Anderson’s best Intersectional Peony introduction. We have to agree, this plant gets a gold star in our book! 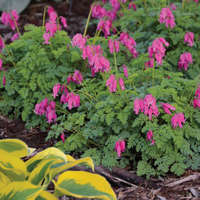 A mature plant of ‘Bartzella’ is incredibly elegant looking, with flowers neatly spaced on the top and sides of the clump. 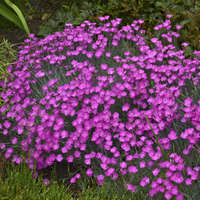 Established clumps can produce 80 or more flowers apiece! The semi-double to double, pastel yellow flowers have a small rose purple flare in the center and a pronounced sweet fragrance. They measure 6-8 inches across on average. Healthy green foliage similar to that of a tree peony forms an impressively sturdy clump to 3ft tall and wide. 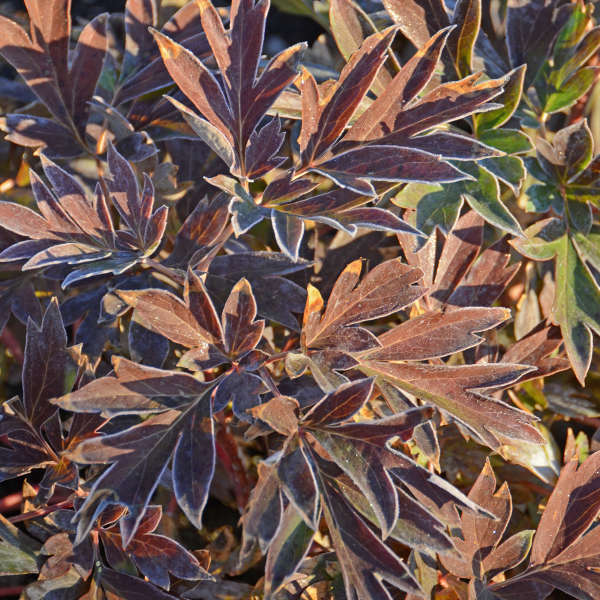 Unlike some garden peonies, the foliage of this plant looks great from spring through fall and is substantial enough to be grown in place of a small shrub in the landscape. 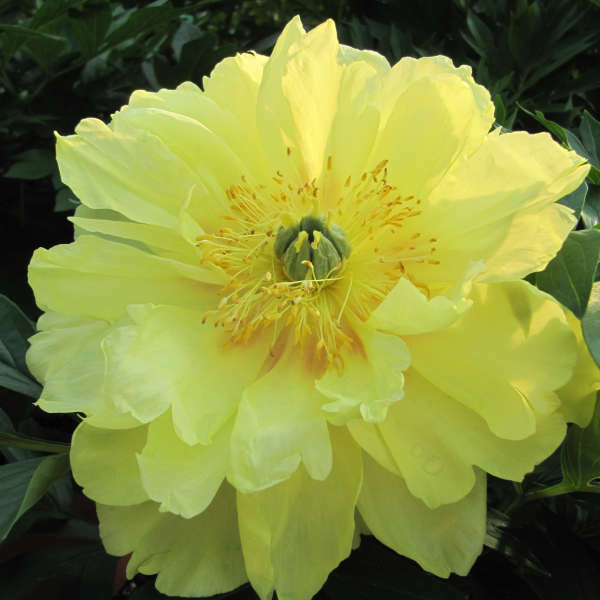 Intersectional peonies are a relatively new class of Paeonia created by crossing herbaceous garden types with woody tree types. 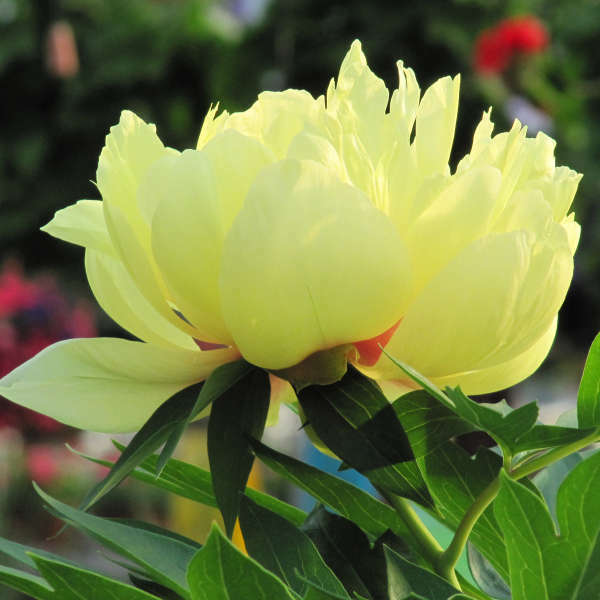 They are often called “Itoh Peonies” because the original cross was first made successfully by Japanese nurseryman Mr. Toichi Itoh in 1948. Sadly, he passed away before ever seeing one of his crosses bloom. Since that time, other hybridizers have continued his work including American breeder Roger Anderson. The most critical aspect of planting peonies is proper planting depth. 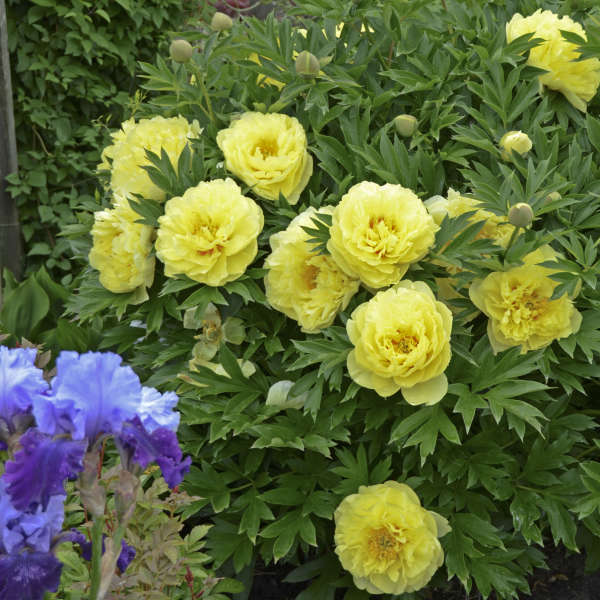 For intersectional peonies, the crown should be planted 1½ - 2 inches below soil level. 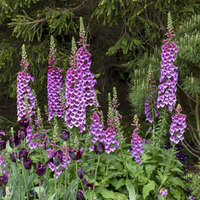 If the eyes have already begun to grow, they may stick up above the soil a bit after planting the crown below soil level. 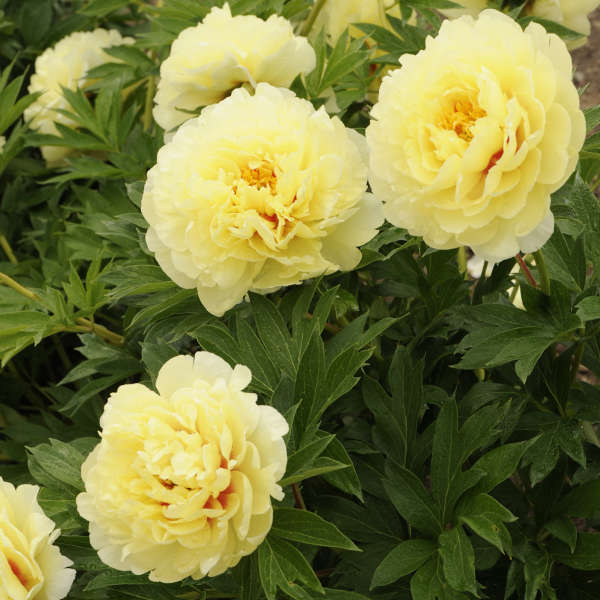 A permanant, sunny or partly shady site is ideal for intersectional peonies. 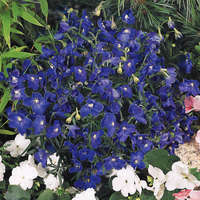 Protection from afternoon sun and from harsh winds will help to prolong the lives of the the exotic flowers. Peonies will perform best in well-drained, evenly moist, rich soil with a pH near neutral and they are drought-tolerant once established. 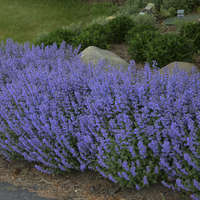 An annual topping of compost is recommended each fall. Though peonies may be slow to establish, you can be assured that they are developing a deep, substantial root system which will help to produce flowers that are well worth the wait. Once established, peonies can live 50 years or more.